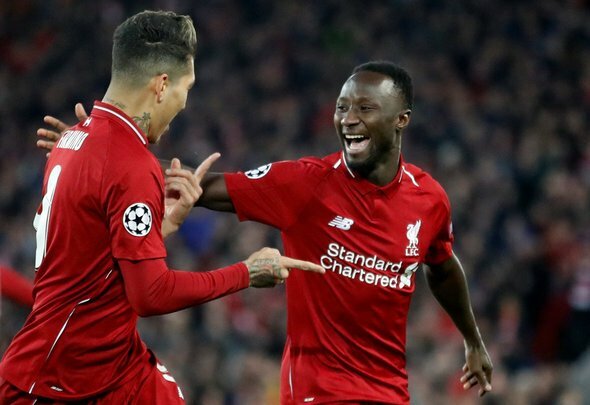 It is almost as if Naby Keita has never been away from the Liverpool team with the way he has been performing recently. His previous two performances for the Reds against Southampton and Porto were mightily impressive, and he only continued that trend with yet another impressive display in the 2-0 win over Chelsea on Sunday afternoon. The fact that Jurgen Klopp is maintaining his trust in the 24-year-old indicates just how much he thinks his contribution is valuable to the team. He has formed a fearsome combination with the likes of Fabinho and Jordan Henderson, and this was on display once again versus the Blues. The three players completely commanded the middle of the park, passing the ball around like the Chelsea players were not even there. Keita was instrumental to that, and his possession was pretty tidy too. This is a far cry from the player who had struggled since coming back from injury a while ago. Many Liverpool fans must be over the moon that Keita has managed to prove himself yet again with a head-turning display. At this rate, he is going to keep the likes of Gini Wijnaldum and James Milner out of the team on a regular basis. Admittedly he did fade slightly in the second half and was replaced by Wijnaldum in a straight midfield swap. However, that does not stem away from the fact that this match has showed the progress he has made recently, and this is something that the fans should be rightly excited about. The £120,000-a-week [Spotrac] star will no doubt be looking to make the starting XI for the second leg of the Champions League quarter-final on Wednesday after this recent outing. We are beginning to witness the Keita of old, and that could be crucial in the season run-in.